Due to its economic and cultural importance, Guadalajara is one of the three most important cities in Mexico. 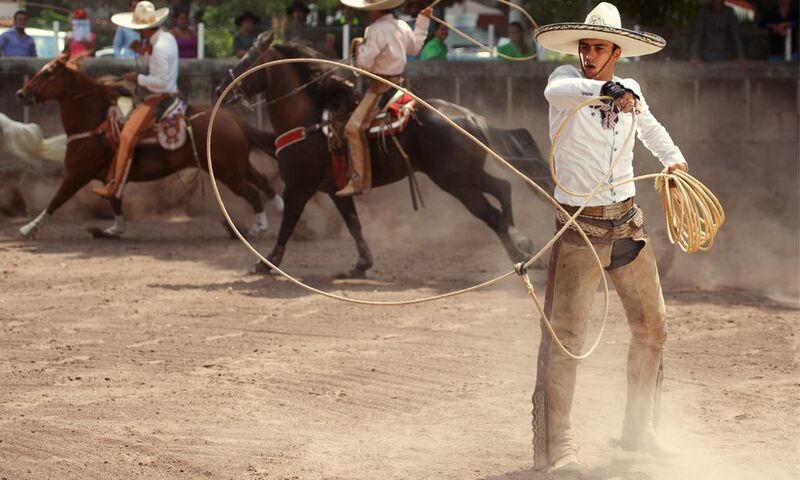 Capital of the state of Jalisco, the Perla Tapatia is also renowned for being the world capital of Tequila, Mariachi, and the Mexican rodeo of the Charreria. Guadalajara is linked to the other municipalities of Tonala, Zapopan, Tlaquepaque, and Tlajomulco. Together they make up a large city with attractions for all tastes. In the heart of the city you can find examples of neoclassical architecture in the beautiful mansions on the avenues of La Paz and Vallarta. Avenida Chapultepec offers visitors a stroll through the beauty of the city and its urban culture where you can see photographic exhibitions between fountains, bars, restaurants, cafes and bookstores. Guadalajara preserves many historic buildings and considers them to be architectural gems, including the Government Palace and the Hospicio Cabañas where you can see murals by José Clemente Orozco, the Basilica of the Virgen de Guadalupe, and the Teatro Degollado. Guadalajara offers a wide range of cultural and entertainment activities, has great parks, shopping centers, first-class cinemas and nightclubs and every year it is the headquarters of national and international events like the International Book Fair, the International Film Festival, the October Festivals, and the May Cultural Festival, among many others. Due to its proximity to the town of Tequila, Jalisco, you can take a day trip there on the Tequila Express train. On this tour you walk through some Tequila houses and learn about the process of distillation of tequila and savor the best tequila in the world. The typical delights of Guadalajara are its famous meat sandwiches of tortas ahogadas, menudo, birria or meat stew, and carnes en su jugo or meat in its own juice. Typical desserts include las jericallas which is similar to a flan. The city has a wide variety of restaurants serving Mexican, French, Italian, Brazilian, Indian, Arabic, Lebanese, Greek, Argentinean, and Chilean cuisine. Another attraction located only an hour away from Guadalajara is the archaeological remains of Guachimontones; a ceremonial center founded around 300 BC by the ancient tribes of the region. This archaeological site is part of Agave Landscape and Ancient Industrial Facilities of Tequila, which have been on the World Heritage of UNESCO list since 2006. Guadalajara is located in western Mexico in the center of the state of Jalisco in the Valle de Atemajac. It is bordered to the north and east with Zapopan, the west with Tonala and Zapotlanejo, and Tlaquepaque to the south. These municipalities form the metropolitan area of Guadalajara. Don Miguel Hidalgo y Costilla International Airport of Guadalajara is the third busiest airport in Mexico. It offers direct flights to many destinations in Mexico, Central America, and the U.S. The highways that connect the city to the rest of the country are Carretera No. 54 and Carretera No. 15 D.
Puerto Vallarta, Jalisco: 306 km. Santiago de Querétaro, Querétaro: 349 km. Mexico City, Federal District: 552 km. Monterrey, Nuevo Leon: 763 km. Guadalajara has a humid climate with rains during the summer months of July to September. During the winter time temperatures are low with cold winds. The average annual temperature is 27 ° C with a low of 14 ° C. What to pack? If you plan to travel in the spring it is recommended to bring light clothing, jeans, shoes, sunscreen, sunglasses, and a light sweater for the evenings. For the summer pack shorts, tank tops, sandals, light clothes, and an umbrella. In the winter boots, scarf, warm clothes, long pants, and closed shoes are recommended. Tapatio bus tour (tour of the main sights in Guadalajara). Tequila Express train ride. Plaza de los Mariachis, Liberation Square, City Hall, Government Palace, Hospicio Cabañas. Shrine of Nuestra Señora de la Virgen de Guadalupe, Expiatory Temple of the Santisimo Sacramento, Ex convent of Carmen, Temple of San Francisco de Asis, Temple of San Agustín. Walk along Avenida Chapultepec, La Minerva sculpture, Los Arcos de la Avenida Vallarta, Rotunda of Illustrious Men, Belen Cemetery. 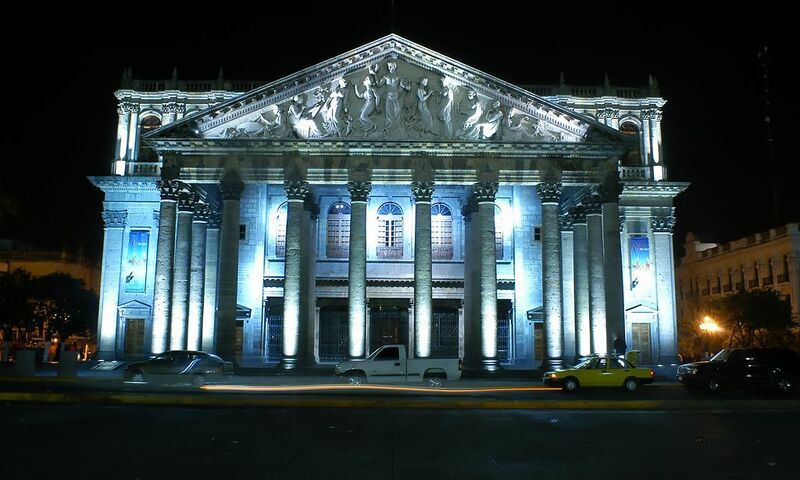 Teatro Degollado, Teatro Diana. Museums : Regional Museum of Guadalajara, Guadalajara Museum of Paleontology, Museum of Huichol Wixarica Art, Museum of Archaeology of Western Mexico, Museum of the Army and the Air Force Museum of Contemporary Art in Zapopan, José Clemente Orozco House Museum, Tonallan Museum, Museum of Popular Arts, Wax Museum, Museum of the Arts of the city of Guadalajara, Museum of Journalism and Graphic Arts, El Trompo Mágico Interactive Museum, Eng. Guillermo González Camarena Museum (Tlaquepaque). San Juan de Dios Market, Plaza Guadalajara, Plaza Tapatia. Guadalajara Zoo, Metropolitano Park, Los Colomos Park, Agua Azul Park. Severo Diaz Galindo Planetary Center of Science and Technology. Visit Tlaquepaque, Tonala, Zapopan, Tlaquepaque, and Tlajomulco. Visit Chapala and its lake Lake Chapala, which is Mexico's largest freshwater lake. Serenade in Plaza de Armas every Tuesday and Thursday evening. 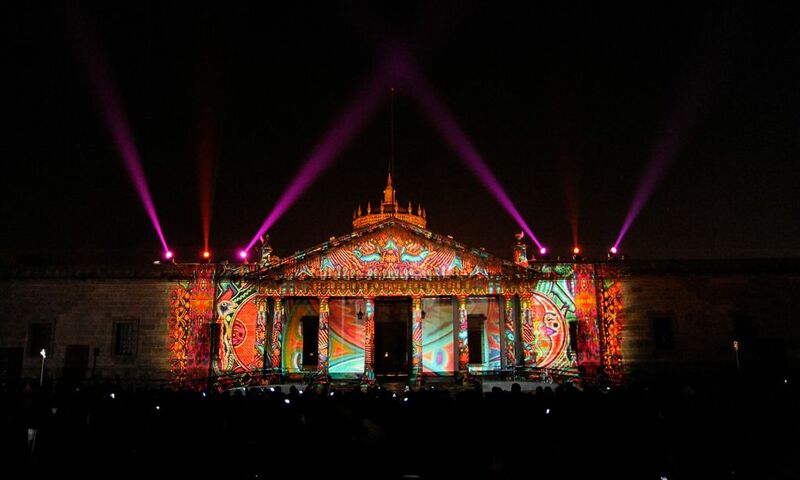 February 14: Feast of the Anniversary of the city of Guadalajara. July-August: International Exhibition of Contemporary Dance in Guadalajara. September: International Meeting of Mariachi and Charreria. September 15-16: Independence Day in Mexico. October: October Festivities and Livestock Expo. October 12: Pilgrimage to the Virgen de Zapopan. November 1 and 2: Day of the Dead Celebration. December: (12) Day of the Virgen de Guadalupe. Decembre: International Book Fair.